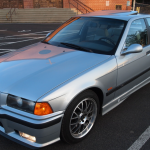 Search “E36 M3 Sedan” on this site and you’ll find plenty of articles where I wax nostalgic about my friend’s Estoril Blue dream machine, so I’ll keep the shoulda-woulda-coulda memories to myself. 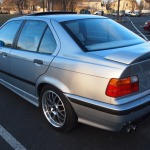 The bottom line is that the M3 sedan is hands-down the best looking model from the E36 generation. The 4-door proportions combined with the sharper M bodywork completely work, gracefully combining aggression and class, speed and subtlety. I tend to ignore automatics as the 5-speed is pure heaven, which is luckily how today’s clean one-owner example comes. Silver on white/grey is clean if a little subdued. With the E30 M3 getting even more press than usual, this is a bold reminder of what an amazing value the E36 M3 is. 1997 BMW M3 4 DOOR SEDAN 5 SPEED MANUAL TRANSMISSION 75K MILES ONE OWNER CAR!!! 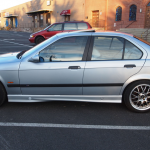 Up for sale 1997 BMW M3 in pristine condition, it has 75K mi only. Fast and reliable. Rare 5 speed manual transmission 4 door sedan with silver exterior and two tones interior grey and white . 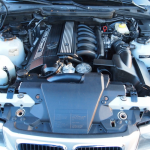 3.2L 6 cylinder engine, manual transmission. 240 horse power. Super clean inside and outside the only issue clear pill fell out on the rims. We took this car in trade and drove for about 100 miles, drives like new very smooth, no noises, warning lights etc. 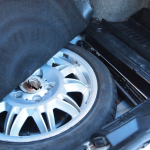 Has aftermarket ASA rims with 4 new Michelin Pilot tires. We have a clear Carfax report on it and can email it by request. There’s a little interior wear, while the stock wheels or some nice BBSs and removing the spoiler would make this much cleaner. The good bits are there with what appears to be a very well cared for E36, low mileage and one owner. $7,100 right now is an absolute steal, and just over half of what E36 M3s in this condition have gone for. 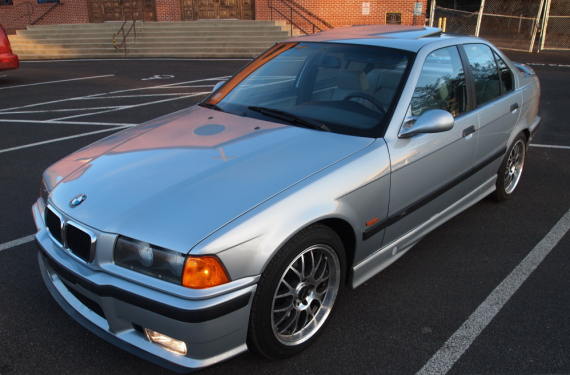 Anything below $14k is a fair price for this M3, making me think I should join in the bidding! Tagged 1997, e36, m3, S50, Sedan. It was run hard and put away wet, then someone cleaned it up real pretty like. Not the one-owner nicety I was hoping for, and probably not worth the price it’s at now. I now feel bad for the bidders.